7 must-have books for flea market enthusiasts (2019) 5 out of 5 based on 2 ratings. 2 user reviews. While nowadays virtually any information can be found online, true experts in the field of vintage collector’s items and antiques will agree that sometimes, you are just better off relying on good old-fashioned books. At Flea Market Insiders we count on an essential core library of books about vintage design, as well as a number of must-have books about antiques. In this article, we chose to present 8 must-have books* about vintage and antiques, which should enable flea market enthusiasts to easily identify vintage and antique flea market finds, to correctly date them and – most importantly – to avoid buying knockoffs. These essential books for flea market enthusiasts also help to learn more about the historical context in which specific items were created, and include valuable information about the designers and brands. The following 8 volumes form an indispensable core of must-have books for flea market enthusiasts. 1000 chairs it the ultimate companion for any flea market enthusiast interested in contemporary furniture. Take a seat, before you start browsing, because chances are you will not be able to put down this book anytime soon. How – you might ask – can a book about chairs be so captivating? Because “the chair” has been subjected to the wildest dreams of designers an, despite being an everyday object, has been interpreted in so many different ways – actually, a thousand ways and more. The book is organized in roughly chronological order and starts out in 1859’s with Thonet chairs. From there, 1000 chairs mostly profiles iconic chairs created throughout the 20th century, up until designs created in 2016. They are all here: From Thonet’s bentwood chairs and Hoffmann’s sitting-machines to Marcel Breuer’s Wassily chair and Ron Arad’s avant-garde armchair. From Gerrit Rietveld and Alvar Aalto to Verner Panton to Eva Zeisel, from Art Nouveau to International Style, from Pop Art to Postmodernism. 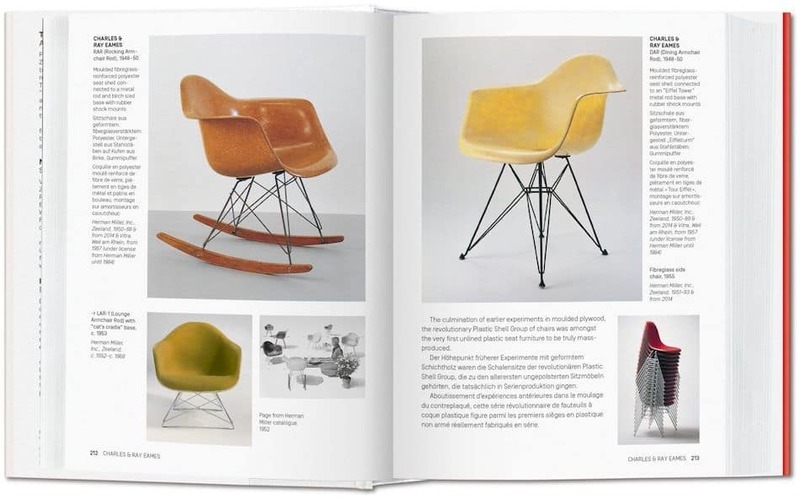 At flea markets, you will rarely find original first editions of the iconic chairs featured in this book – but who knows, you might get lucky and this book is the best preparation. And, if you are impatient, check out your local high-end antique furniture shops or try your luck at online shops, such as Etsy. The latest edition of 1000 chairs, written by Charlotte & Peter Fiell, includes information in English, French and German. It is part of TASCHEN’s Bibliotheca Universalis, providing compact cultural companions at an unbeatable, democratic price. Similarly to 1000 chairs, 1000 Lights takes the reader on a journey through 20th-century lighting design. It is a reference for every collector, home decorator or simply vintage design enthusiast. Presented chronologically by decade, you’ll find the most interesting electric lights, from Tiffany’s beautiful leaded-glass shades to outlandish 1960s designs and the latest high-tech LED lamps. All major styles are represented in 1000 Lights —Arts & Crafts, Art Nouveau, Art Deco, Modern Movement, De Stijl, Postwar, Pop, Radical, Postmodern, and Contemporary. Featuring gorgeous photographs, 1000 Lights provides a visual guide of lamp design, accompanied by to-the-point information about each lamp. 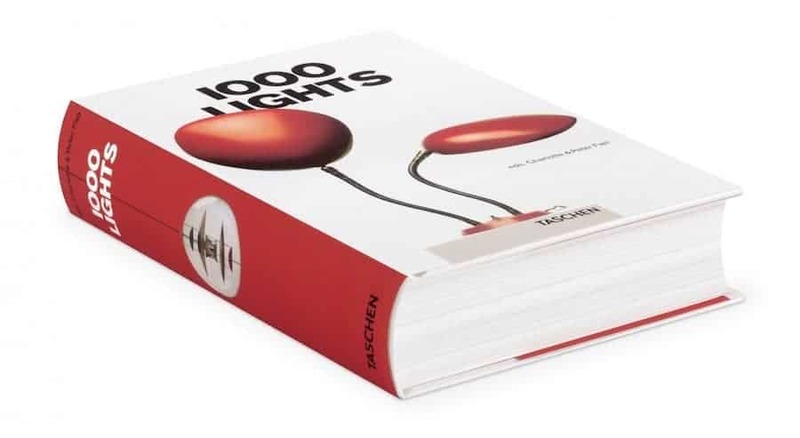 1000 Lights, too, was written by Charlotte & Peter Fiell and is part of TASCHEN’s Bibliotheca Universalis, providing compact cultural companions at an unbeatable, democratic price. 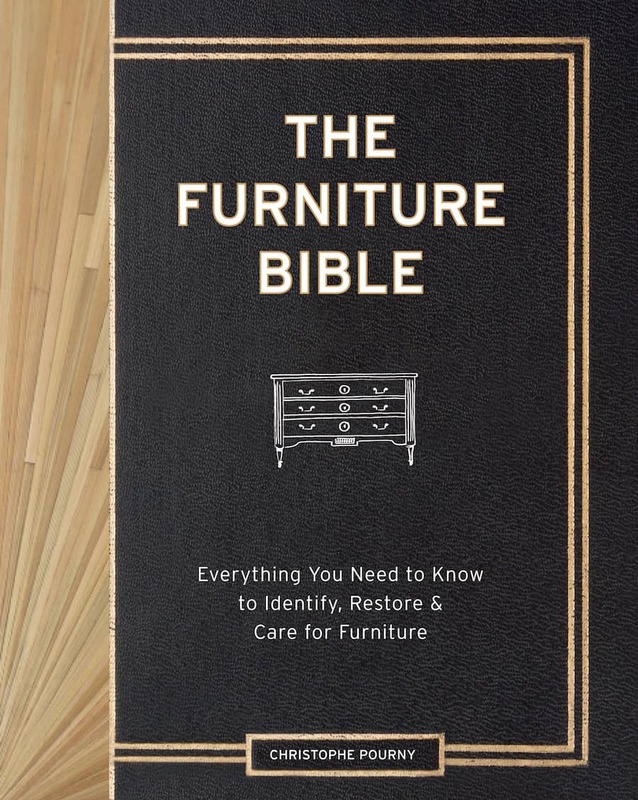 The name says it all: The Furniture Bible is the one book that every private furniture collector should own. Once you are done reading 1000 chairs and your house is full of flea market finds, The Furniture Bible comes in handy. While the author also teaches readers about the provenance and history of furniture – starting in the 5th century – the main reason to buy this book is Christophe Pourny’s wealth of knowledge about how to restore, update, and care for furniture―from antiques to midcentury pieces. Christophe Pourny learned the art of furniture restoration in his father’s atelier in the South of France. The Furniture Bible features an overview of Pourny’s favorite techniques―ceruse, vernis anglais,and water gilding, among many others. In addition, full-color step-by-step photographs ensure that even amateurs can easily replicate each refinishing technique at home. Even for flea market enthusiasts and collectors who do not refinish or repair their furniture finds, it is worth knowing how to correctly care for what you own. From explanations on how to fix a broken leg to making your own shellac – you will find detailed instructions in this book. While the title also promises a resource for identifying furniture, other books may do a better job in this respect. Nevertheless, The Furniture Bible is a must-have for everybody who owns vintage or antique pieces and would like to understand them, repair them, or simply take proper care of them. The book 500 Cameras is a must-have for every camera collector and photography enthusiast. This richly visual and informative guide covers 200 years of photographic innovation. 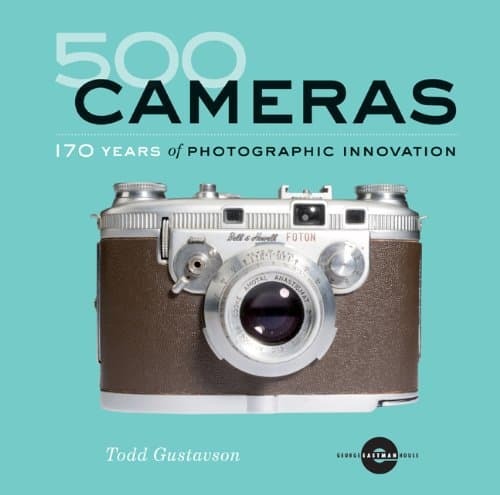 From the first camera obscura to digital cameras, the book includes photos and information about the technological features of 500 different cameras. The author, Todd Gustavson, also chose to feature curiosities like stereoscopic cameras, postcard cameras, and spy cameras hidden in watches, buttons, and fountain pens. With his expertise as curator of technology at the George Eastman House, 500 Cameras includes well-founded profiles of the cameras it features. 500 Cameras also does not disappoint in terms of internationality – it includes cameras from France, Germany, Japan, USA, Britain and more. Camera collectors who scour flea markets in search of rare cameras will have many aha-moments while reading this book. In short, 500 Cameras is the ultimate companion for every photography enthusiast. Flea market hunters and photography nerds should be prepared to mark many pages of this book as they browse it, in preparation of uncovering rare and classic analogue cameras at the next flea market. If vintage fashion has not been part of your flea market shopping list so far, it might change after reading this book. 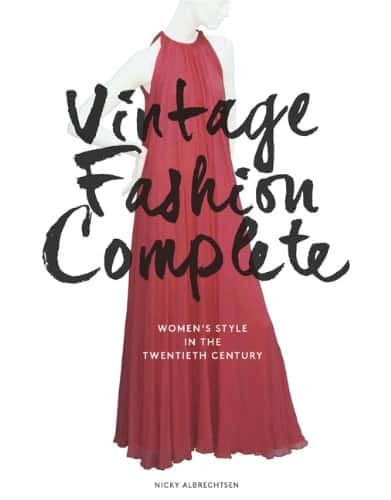 Vintage Fashion Complete provides a comprehensive, visual guide to women’s fashion of the past 100 years. Around a thousand beautiful photographs chronicle the development of fashion and style. Vintage Fashion Complete explores the elegant shapes, signature pieces, classic looks, and perennial themes that defined the twentieth-century style. Be it 1950s printed housedresses or 1980s sequined shoulder pads, author Nicky Albrechtsen features them all. Vintage clothing collectors and vintage fashion enthusiasts will be delighted by authoritative information and gorgeous looks, presented in this comprehensive volume. Miller’s Antiques Encyclopedia, first published in 1998, remains one of the top must-haves for flea market and antiques enthusiasts. This year’s edition of this best-selling encyclopedia features all the traditional areas of vintage and antique collectables, with extensive sections on furniture, ceramics, silver and glass. More specialist subjects, such as jewellery, scientific instruments, Oriental art and sporting memorabilia are also included. Even dolls and teddy bears are featured in a dedicated chapter. While most chapters focus on a specific type of collectable, some of the chapters are dedicated to specific periods in art history: art nouveau, art deco, mid-century modern and postmodernism are explored in-depth. Miller’s Antiques Encyclopedia is the ultimate guide to the identification of flea market finds and antiques and provides reliable historical background information about the context in which the different styles emerged. In addition, the book also offers some practical advice on how to take care of antique furniture and how to spot fake pieces. While other books recommended in this article focus mainly on vintage items, produced in the 20th century, Miller’s Antiques Encyclopedia goes back further and includes information about antique and vintage collectables alike. 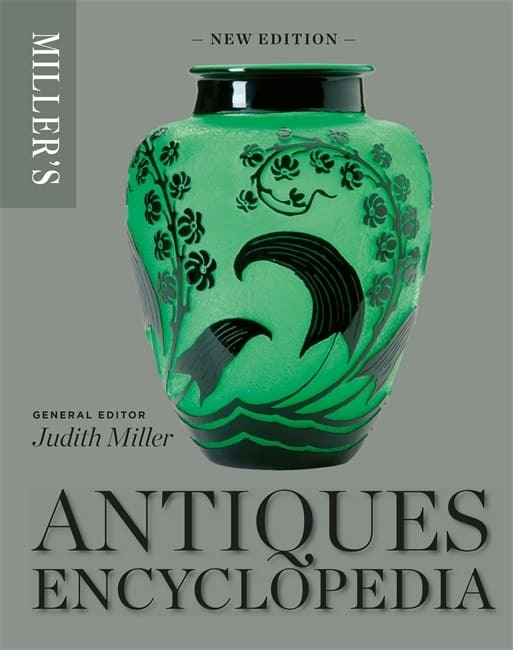 As its title suggests, Judith Miller, one of the UK’s leading antiques specialists, is the editor of the book that was compiled by an international team of over 40 consultants and writers. Thus, Miller’s Antiques Encyclopedia contains a wealth of knowledge which, luckily for the reader, is well-organized. The book is directed both at antique dealers and antiques enthusiasts and contains an extensive glossary, shedding light on technical terms. Finally, a book that is on our shopping list for early 2019: Miller’s Mid-Century Modern promises to be an indispensable resource for fans of mid-century design. As one of the most popular design periods, iconic mid-century pieces are featured in almost all of the books above. However, recommending a single volume, living up to the promise of being a complete guide to mid-century design – one of the most productive eras of modern design – turned out to be challenging. Therefore, we opted to recommend a book that we have not yet held in our hands ourselves, but trust that it will live up to the promise of becoming a classic work of reference on the subject. 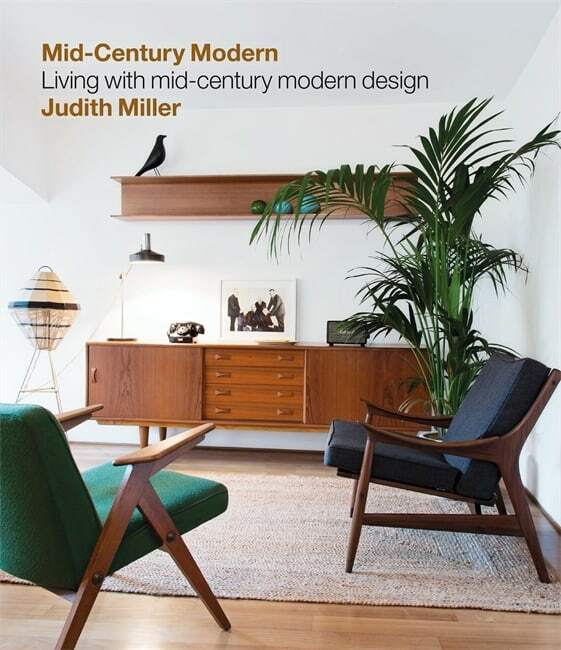 Judith Miller’s Mid-Century Modern is an informative guide to this important and enduring style. Miller’s Mid-Century Modern features the historical context of key pieces, provides information about production methods and accompanies every item by a price code to help value and appraise these items. The book also features an illustrated directory of more than 175 key designers, from Alvar Aalto to Frantisek Zemek. Unsurprisingly, visiting flea markets, collecting vintage and antique items and learning more about these items opens up a vast field of thematic niches. In this article, we chose to limit ourselves to recommending only seven books we deem essential. Nevertheless, a list of books about such a vast topic as flea market finds, vintage and antiques can never be entirely complete. Therefore, we hope to receive your input about your personal favourite, indispensable books that guide their flea market adventures. Just leave a comment below or send us an email! *Depending on availability, all of the books above can be bought online on Amazon. This article contains affiliate links which may earn Flea Market Insiders a small commission – at no extra cost to our readers. 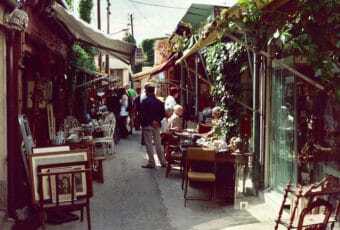 This revenue helps us to regularly produce fresh content for Flea Market Insiders.